Ujo park in Okayama Castle(岡山城) is one of popular Sakura spots in Okayama. There are about 200 Sakura in this park. 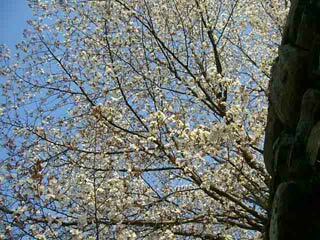 In early April, Sakura bloom and you can enjoy Sakura and Castle. Japanese Castle looks beautiful especially with Sakura. You can have hanami party.